Surprisingly light, smooth, becoming a bit aggressive. 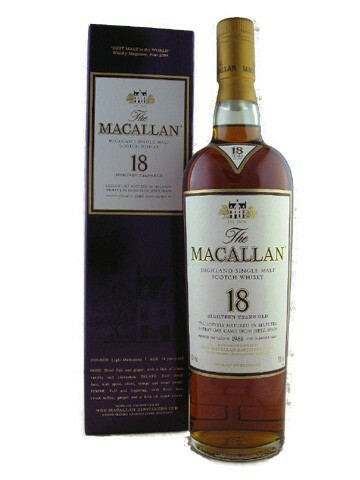 I remember getting an 18yr old MacAllan, from my wife for my x-mas a few years ago. Accept no substitutes, if you like your single malts this is the Rolls Royce of whiskeys. Unlike the 10 year old, you do not need a dash of water with an 18 yr old. This is a robust whiskey which can stand on it’s own, clean, crisp with a touch of spice. I tried to introduce a friend to the Macallan 18 yr old, he tried to put cola in the glass…needless to say I took the glass back off him. 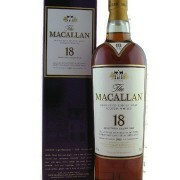 I got introduced to Macallan whiskies through an 1980, 18 yo. I loved it from the first moment. I still keep an unopened bottle. Definitely one of the best whiskies I have ever tasted! The 18 year is a great whisky but I’m pretty sure it’s bottled at 43% not 40%. Got a bottle of this from the wife for Christmas this year and it may well be my favorite single of all time, not just of the Highlands. Neat is the only way with this treasure and the Rolls Royce of whiskeys is a fact!